It's an exciting and busy week in the world of racing with the Goodwood Festival this side of the sea and the Galway Festival over in Ireland. Below I have an angle and selection for you at Goodwood. But first I want to tell you how you can get selections for every race at Galway and Goodwood for just a tenner. Carl Nicholson's Value Backing Daily service bets through the card at meetings every day and this week they will have selections in every race at Galway and Goodwood. Each meeting costs 1 Value Backing credit to access and credits can be bought for as little as 59 pence each if bought in bulk. But even at full cost of just £1 each that is only £9 for every race at Goodwood and Galway this week. 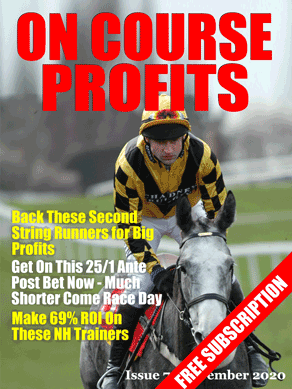 Now I have an angle and stats from Nick Hardman of Betting School Insiders. Nick will be analysing every race at Goodwood this week and these races will be discussed in the Betting School members area – http://bettinginsiders.com. I’ve been looking at the performance of outright favourites at Goodwood and uncovered a useful pointer for the coming festival. Backing favourites blindly is the road to ruin but the performance of 2yo favourites in 5f and 6f non-handicap races at Goodwood shows a terrific strike rate. Hannon and Hughes team up on Beacon in the Molecombe Stakes on Tuesday at 2.30pm. I expect this one to go off as favourite.